A mattress is only as good as the foundation underneath it. So, Do You Really Need a Box Spring? Well, the thing is that a box spring is a great option that adds firmness and efficient weight distribution to your bed. However, it isn’t the correct choice for everyone. Especially given the fact that not all of you actually know the answer to the question, “what does a box spring do?“. So, it’s time to find it out now. Before you can decide on whether a box spring is something you need, let’s first talk about its construction and purpose. As you can guess from the name, a box spring is a rectangle-shaped box that is filled with metal springs or coils. The frame of this type of foundation is made of wood or steel and designed to sustain the weight of the mattress. 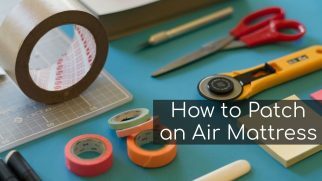 The box itself is covered with cotton or a different kind of fabric to add a more appealing look to it and protect it from any spills or moist. 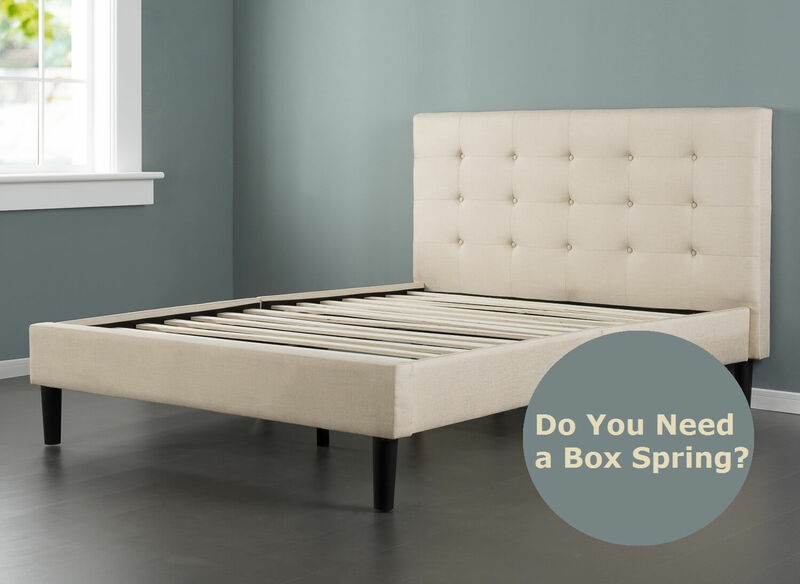 The springs are the most important component of the construction, as they adjust the shape of the box according to how your body is positioned on the mattress. The primary function of a box spring is to add firmness to the mattress and make it more comfortable to rest on. A box spring allows elevating your bed higher above the ground. And nobody likes to get up from a bed that’s too low, right? Despite being filled with coils, this foundation type presents a flat, sturdy surface that provides sufficient support for the mattress. 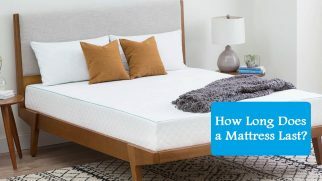 A high-quality box spring prolongs the life of your mattress. 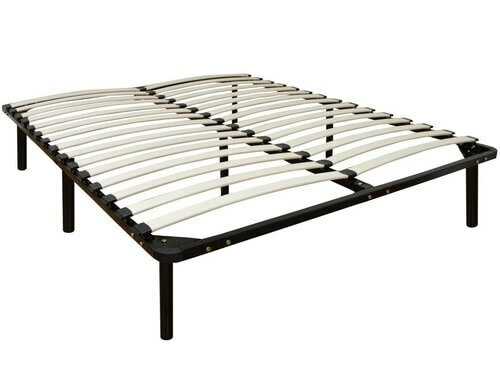 The way the springs are constructed, they absorb the impact from your weight and rough movements and will protect the mattress from forming hollows. This type of foundation is great for taking the stress off your joints. The coils inside the box allow you to distribute your body weight on the mattress correctly. If you were to turn your glance to the near past, you’d find that a decade ago people were buying box springs without ever thinking twice. Because back then humans didn’t have that many options to choose from, and a box spring was the best way to compensate for how thin and unsupportive the old mattresses were. Thus, people used box springs as a means to get the comfort their bodies needed. With the speed that the mattress industry has been developing, a box spring isn’t the necessity it used to be. Nowadays, a lot of people prefer to buy slatted bed bases or platforms instead. Does that mean that there’s no point in buying a box spring anymore? Not at all, this type of foundation is still an excellent choice in several cases. You suffer from back pain and feel that your current mattress doesn’t offer enough support for your back and joints. You require a bed with great impact absorption, especially if you have little kids that tend to jump on it. 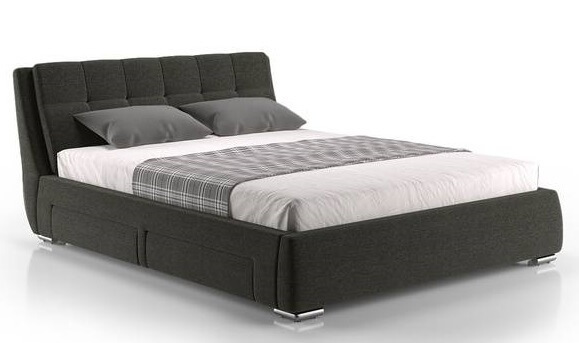 You want a taller bed because your mattress is too thin or the frame legs are too short. 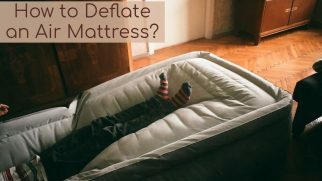 If you already have either a slatted foundation, it’s not recommended to have two types of mattress support, as one gets in the way of the other. If you like beds that are on the softer side, then you don’t need the firmness provided by a box spring. If you’re a light sleeper, then you should probably avoid purchasing this type of foundation. After long periods of use it makes slightly annoying noises, due to the coils wearing out and rubbing against box frame. If your mattress is pretty high, adding a box spring may turn out to be too much. After all, you don’t want to literally climb onto your bed, do you? Even though a box spring is quite sturdy, it doesn’t compare to slatted foundation and platform beds in this aspect. 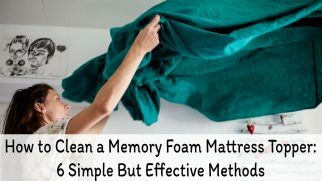 It’s not recommended to use an old box spring for mattresses that are made of natural latex or memory foam since they demand a solid, rigid foundation to maintain their properties. Still don’t know the answer to the “Do you need a box spring?“ question? No worries, here are some additional facts that may make it easier for you to decide. If you’re leaning towards purchasing a box spring either for yourself or your kids, you’ll be happy to learn that there’s a wide range of sizes available, including bunk, twin, queen, and king. The most popular models of this type of foundations are nine inches high. When paired with a thick mattress, such a foundation can make your bed too tall and therefore uncomfortable. However, you can also find box springs that are only five or six inches in height. Such low-profile models are created to cater to people who have a tall mattress but still want to buy a box spring. You should also be warned of the dangers involved in buying a cheap box spring. In order to increase their profits and minimize production costs, some manufacturers produce wooden or metal foundations without springs inside but still market them as box springs. Some companies that actually do use metal springs and coils, make them of such poor quality that they don’t give in nearly as much as they should. As a result, all you’re left with is a taller bed with no additional benefits. The safest way to avoid such unpleasant incidents is to purchase your box spring either from a trusted brand or from a manufacturer that has a return policy. If you’ve decided to buy a box spring, be sure to pair it with a bed base that is a hollow frame and doesn’t include slates, as otherwise, you’ll have a “conflict of interest“ inside your bed. A box spring isn’t going to make everyone happy. But if you’re looking for a foundation that will make your bed taller and firmer, then it’s definitely worth considering such an option. Additionally, a box spring makes the mattress bouncier, prolongs its life, and gives you additional support for a good night’s sleep. If you want to reap the benefits of buying a box spring but are afraid that it might be too firm or high for your taste, I suggest you buy a model that comes with a return policy. 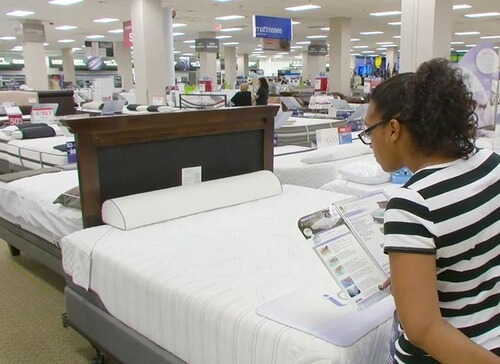 This way, you can know for sure whether a box spring is something you need.